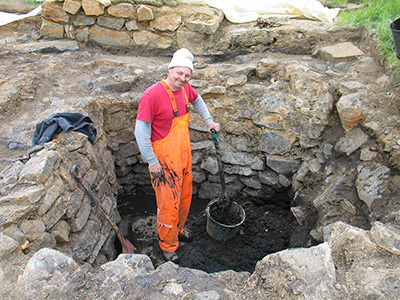 Time is a fundamental concern for both archaeology and history. 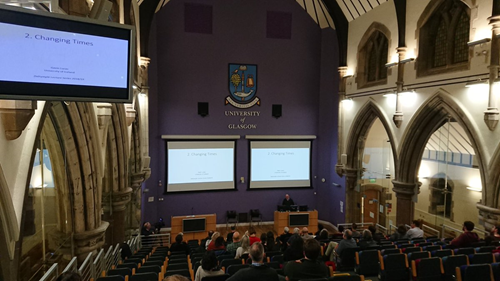 On the 18th of February, the annual Dalrymple Lectures welcomed Professor Gavin Lucas of University of Iceland who delivered a series of four evening lectures on the archaeology of time. He gave a comprehensive review of his scholarship on time which was as fascinating as it was intricate. The complete exploration of this topic can be found in Professor Gavin Lucas’ book The Archaeology of Time (2005). 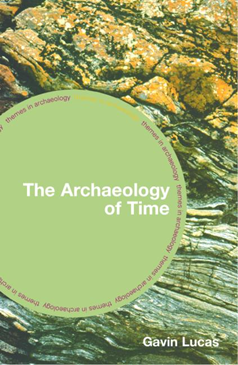 The Archaeology of Time by Gavin Lucas, 2005, Routledge. In the first lecture, The Archaeological Clock, Professor Lucas discussed a wide range of issues relating to our changing understanding of time and the achievement of singularisation. He began with a historical deconstruction of the singular unified notion of time, demonstrating an evolving change in the social perception of time from biblical chronology to the emergence of deep time. The adoption of the anno domini system, which became the standard in the 18th century, created a new thinking about time and sense of historical consciousness. Professor Lucas addressed issues of temporal structure and resolution, time averaging and scale of the archaeological record. He discussed the relationship between relative and absolute chronologies, relating sequence to relative chronology and duration to absolute. The talk culminated in a discussion of abstract clock time and the achievement of the singularisation of time with the unification of atomic and planetary movements. The second lecture, Changing Times, addressed the problem of change and continuity in archaeology, and problems in assessing the speed and synchronicity of change. 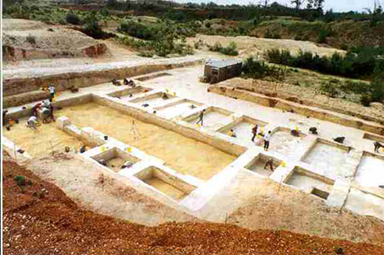 Professor Lucas gave the example of Boxgrove, a Palaeolithic site in southern England, to illustrate the issues of dating resolution for brief moments in the deep prehistoric past, questioning the usefulness of timescales. He drew attention to the fact that Thomsens’s Three Age system does not apply to archaeological contexts outside of North-Western Europe and explored examples of universal periodisation of archaeology in the discourse on deep history, or big history, for the singularisation of human time. Professor Lucas also explored issues of phasing as related to relative chronology and highlighted the complexities in relationship of events that are hidden by phasing sites. He shared his experience in directing excavations at Skålhólt, Iceland, where he attempted a multiplicity of relative chronology instead of phasing to capture the complexity of different tempos of structural change in the built environment. Towards the end of the talk, Professor Lucas presented his typology of change in relation to cycles and tempos of time. This was a reinterpretation of Fernand Braudel’s three concepts of time scales in which Professor Lucas emphasised different levels of change outside scale as events, conjunctures and structures. In the third lecture, Contemporary Pasts, Professor Lucas explored the meaning of contemporaneity in the archaeological record. He described contemporaneity as a connection based on temporal relationships that can be interpreted in two different ways: things co-exist and are contemporary to one another, and things are dated to a particular period in time. The difference is subtle but significant – things can be contemporary at one time and not at another. Professor Lucas noted that conflation of the two reduces contemporaneity to synchronicity. 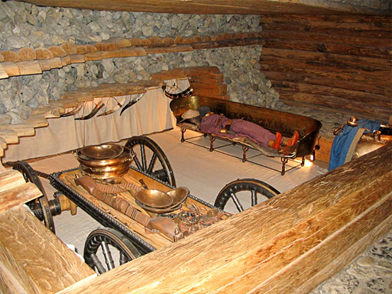 To illustrate this, he gave the example of the Hochdorf grave, a polychronic collection of events from death to burial and the various temporalities of grave goods and mortuary practices that exceed a single date. He then turned his discussion to contemporary pasts referring to Laurent Olivier’s arguments of the present as a polychonic ensamble of palimpsests where the past is always present. However, he saw this view of time as ahistorical, arguing for the need to preserve the historical dimension to archaeology. In the final lecture, Back to the Future, Professor Lucas conceptualised the notion of future in archaeology. He explored time itself, and broke down the differences between the scientific, or physical and objective time, and the human experience of time. To this he gave contrasting examples of time at different scales: the absence of time in quantum physics, psychologically felt time, or the continuous experience of time in the human brain, and historical time in-between with implications for archaeological interpretation and narrative construction. He outlines three different chronotypes of narrative: traditional (what happened in the past? ), counterfactual (what might have been?) and futural (how will it end?). Future in archaeology relies on the notions of unfinished pasts as a result of a historical consciousness for the future. Professor Lucas explained how the change in perspective on time is associated with the emergence of the notion of deep time in the nineteenth century. He illustrated this by contrasting the medieval view of the past as a reference for moral guidance in going forward and the modern consciousness predicated on endless expectations for the future which is largely linked to the emergence of the notion of deep time.